Admiral offers Cannabis insurance for cultivators, processors, wholesalers, and dispensaries in states where cannabis has been legalized for medicinal or recreational use. THE RISK — Failing to understand the nuances and unique services of the Cannabis insurance industry can leave insureds open to a wide array of potential issues that may present in this turbulent legal climate. THE SOLUTION — Admiral’s unique approach to covering Marijuana professionals gives our Wholesale Broker experts the ability to offer retail agents, and their customers, the proper coverage for this growing and expanding industry. View the Cannabis FAQs to learn more about Admiral’s coverage for the cannabis industry. Download the Admiral Cannabis Brochure Today! 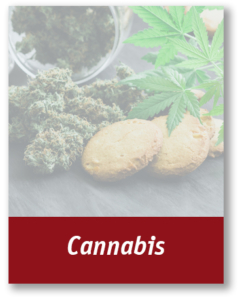 If you would like the Admiral Marajuana Brochure personalized with your information and logo fill out the Personalized Brochure Request form today!